Beer lovers will appreciate its complexity. Although simple in appearance, it reveals a high level of refinement. 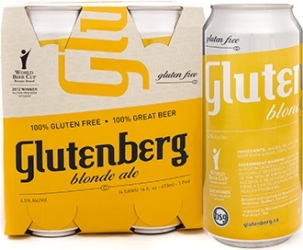 Dry and citrusy, the Glutenberg Blonde is an easy to drink beer that is in a class of its own.